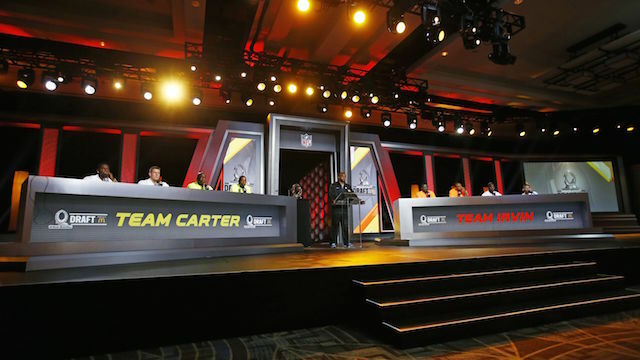 2015 Pro Bowl rosters are set after a Team Carter vs. Team Irvin draft and with the number one pick for a second year in a row, the honor went to Andrew Luck. Chris Carter, along with J.J. Watt and Antonio Brown picked the Indianapolis Colts quarterback, while Michael Irving, Joe Haden and DeMarco Murray chose Tony Romo with their first pick. The 2015 Pro Bowl will be played on Sunday at 8pm EST on ESPN.